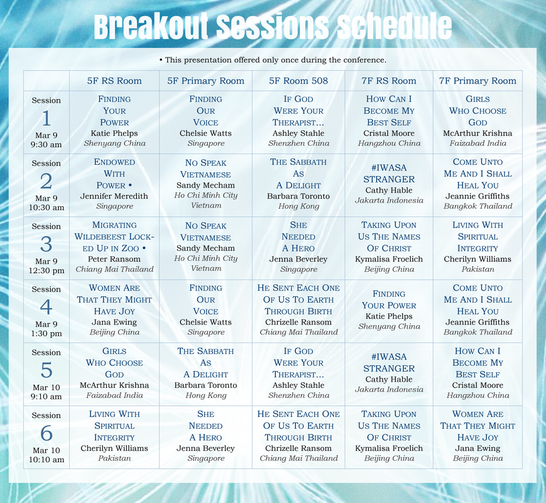 Breakout Session schedule below. Scroll down for details. Click on the schedule to enlarge. On January 16, 2018, President Nelson said he and his counselors in the First Presidency, President Dallin H. Oaks and President Henry B. Eyring, chose to broadcast from the temple to emphasize their wish for members to be “endowed with power in a house of the Lord, sealed as families—faithful to covenants made in a temple,” which are key to “strengthening your life, your marriage and family, and your ability to resist the attacks of the adversary. Your worship in the temple and your service there for your ancestors will bless you with increased personal revelation and peace and will fortify your commitment to stay on the covenant path,” he said. Do you need more power in your life? What are the promises made to those (and their families) who intentionally engage in temple and family history work? How can we use technology to increase our family history research efforts? What can we do when we live far from a temple? How do we encourage our youth to participate and lead out? Come learn and share what you can do or are doing! Jennifer Meredith grew up living all over the US and abroad. She served a mission in Argentina and graduated in Communications from BYU. After graduation she worked in HR, primarily as a Recruiter. when she met her husband Trip. This year they will celebrate their 20th wedding anniversary, thanks to that successful blind date! Together they have six wonderful children, Chase (17), Connor (15), Caroline (13), Elizabeth (11), Ethan (9), and Christian (7). They have lived in Salt Lake City, Dallas, Chicago, Hong Kong, Nashville, and now, Singapore. Her callings have included teaching and leadership roles in every auxiliary and she is currently enjoying serving in Primary. Above all, she loves being a mother and everything she has learned, both joyful and difficult! Her favorite pastimes include traveling with her family, cheering on her children at sporting events, researching family history, and singing. Feeling moved by the #IWasAStranger campaign, Cathy had intentions of finding ways to serve among the estimated 14,000 refugees in Indonesia once she arrived in Jakarta. But she did not anticipate becoming a lead teacher and creator of a Life Skills curriculum in three different refugee schools. The experience has been completely overwhelming and absolutely testimony building as she has learned to rely on the Lord and grow in service, one step at a time. Cathy was born in San Diego, CA where she grew up on a pig farm with her parents, siblings, grandmother, aunts, uncles and many cousins. Although the country living was wholesome and safe, she longed to move "in town" with neighbors and conveniences nearby. She realized her dream when she graduated from high school in 1994 and moved to Provo, UT. Cathy met her husband Derek in her ninth grade German class. Their interest in each other blossomed on a three week exchange program to Germany, their first foreign trip together (a sign of things to come!). Derek, a convert to the church, was baptized by Cathy's father in high school and served a mission to the Baltic States, where he learned he wanted to travel the world for a living. 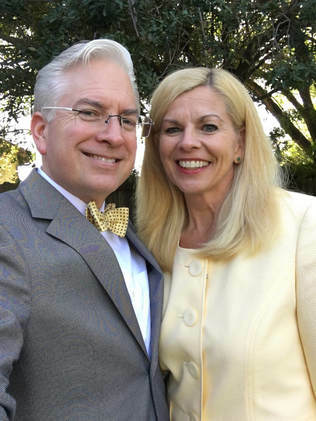 After his return, Derek and Cathy were married in the San Diego temple in 1997. 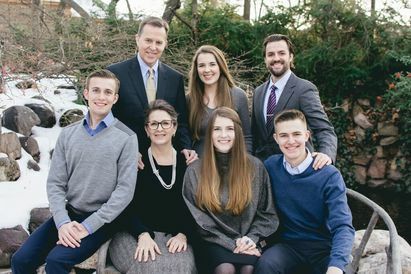 They began their family and graduated from BYU together in 2000, Cathy in Marriage, Family and Human Development and Derek in International Law and Diplomacy. Derek's pursuit of a graduate degree took them to Washington, D.C. where Derek became employed with the U.S. State Department. His career has taken them and their five children to Australia, the Philippines, and Indonesia. 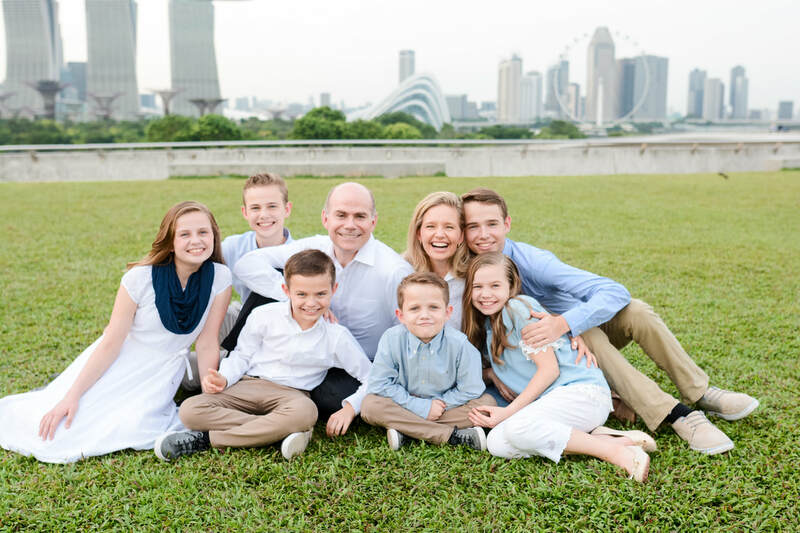 Cathy has enjoyed (and endured) many seasons of motherhood, but is particularly enjoying her current season of having all of her kids in school so that she can engage more in charities and service in her community. Since moving to Indonesia, Cathy has become deeply involved in the refugee community, teaching "soft skills" classes based on gospel principles. 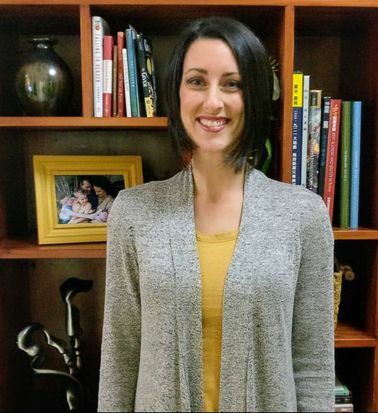 She enjoys learning about new cultures, is a voracious audiobook listener and looks most forward to Wednesday mornings when she gets to email with her son serving in the Vanuatu, Port Villa Mission. How can you use your trials to become who God intended you to be? During this session, we will identify our go-to survival mode in times of discomfort and drama and how to combat that through increasing our emotional intelligence, effective and relative boundaries, and powerful self-care (we’re not talking bubble baths and chocolate). After a short burst of Singapore living in 2011, Jenna was stunned to find herself experiencing more culture shock returning back to the UK than when she first arrived in Asia. Her family have since returned and called Singapore home for the past 4 years. 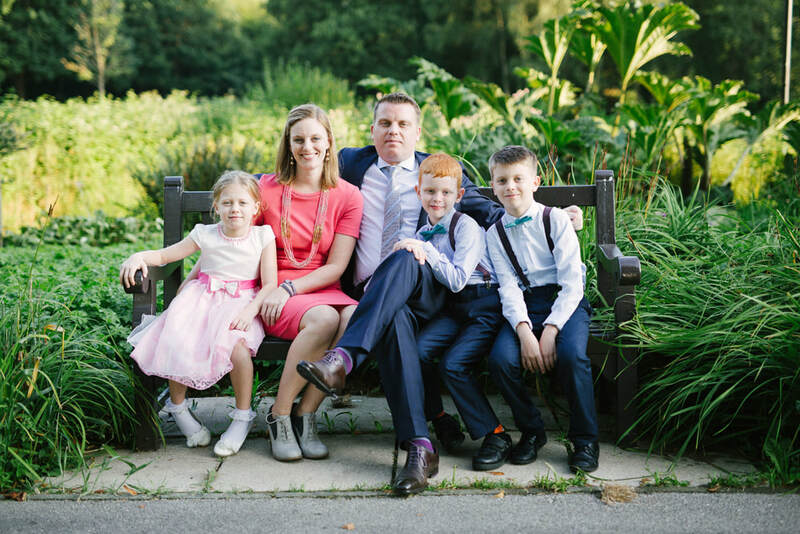 Jenna, and her husband John, are raising 3 adventure loving, independent, and lively children. Weekly she helps facilitate and lead online meetings for S.A. Lifeline Foundation, supporting women who have experienced addiction of a family member or loved one. She currently serves as YW president and is always looking for ways to cheer and uplift others. She is super competitive at board games, loves to visit different temples, usually falls asleep in movies, and enjoys walking with friends. If God Were Your Therapist . . .
Ashley is a seeker. 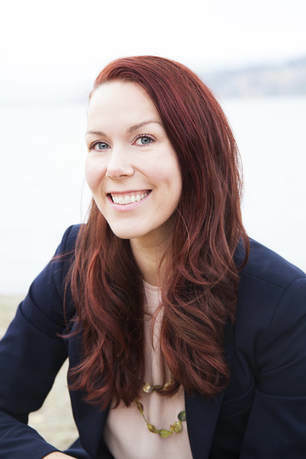 She is passionate about communication, connection, and flexibility, and is fascinated by how our individual strengths and differences contribute to our greater participation in life. She loves facilitating opportunities for others to feel connected, and leave feeling lifted. Her education is rooted in psychology, with work experience in talent sourcing, event coordination, and training. ​Ashley loves soccer, hiking, running, and cycling. She usually chooses foot massages on date night and loves trying new restaurants. She loves skydiving and bungee jumping, but hates the tea cups at Disneyland. She and her husband Dallas have worked diligently and deliberately on their 13-year marriage and he continues to be her best choice in life. 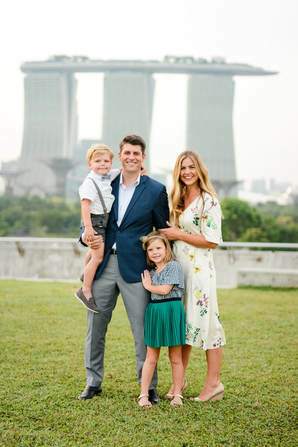 They have enjoyed the last (almost) 4 years in China with their sons Lincoln (8) and Cole (5) and welcomed their baby girl Taylor in 2016, as she made her debut in the taxi on the way to Hong Kong! She prefers life as an adventure, being anxiously engaged in goodness and laughing with loved ones. Does this topic seem ironic to you? Are your Sabbaths exhausting, not restful? Do you feel frustrated trying to figure out a Sabbath routine that works? Come explore this topic with me as we look at the practical application of a spiritual directive. For several years now we have been receiving admonition to improve our Sabbath worship, to see this sacred day as a “delight”... but what does that really mean? Once we return home from our meetings, the reality of a day full of family can seem daunting. How do we fill those hours with worshipful meaning? How can we enjoy a delicious dinner together with a cranky baby, tired toddlers, and exasperated teens? What activities can engage our families, and still allow time for a “Sacred Sunday Siesta”? My thirty years as a parent has given me plenty of opportunity to gain some insights. Let’s talk about how to put the “delight” into your Sabbath, so that your light can shine bright every day. My experiences with Asia began the night I met my husband Steve in 1986. Fifteen months later we were sealed in the Salt Lake Temple. Since then, it has been “non-stop fun and excitement” as our shared passion for China led us to New York City, Xi’an China, Palo Alto California, Hong Kong, and ultimately Beijing China. Along the way we added five children: two daughters and three sons. As a family we enjoy exploring rural China, music, theater, and eating good food. As the Domestic CEO, I have loved watching my children develop their talents, discover their passions, and learn to be productive members of society. Being a support to my husband during his Church service as well as his work as an International Lawyer has brought me great joy. Together we love all things “Chinese-y”. I enjoy reading cook books, occasional sewing projects, and collecting old Chinese kitchen implements. I love a good nap and binge watching PBS mini-series when not napping. Since my Mission to Spain, Church service has afforded me opportunities in a range of callings. I am now joyfully serving in the Primary of our Wanchai (Mandarin) Branch. We are women of power! You are extraordinary with immense and eternal potential to change your life and the lives of others. However, challenges, loss, and major transitions can make us forget that power. This workshop will help you understand, identify, and connect with the sources of power in your life. You will leave with a plan: concrete ways that will help you move forward in faith, courage, hope, and confidence. Everywhere she has lived, Katie has always felt a keen love for people and a desire to help others. 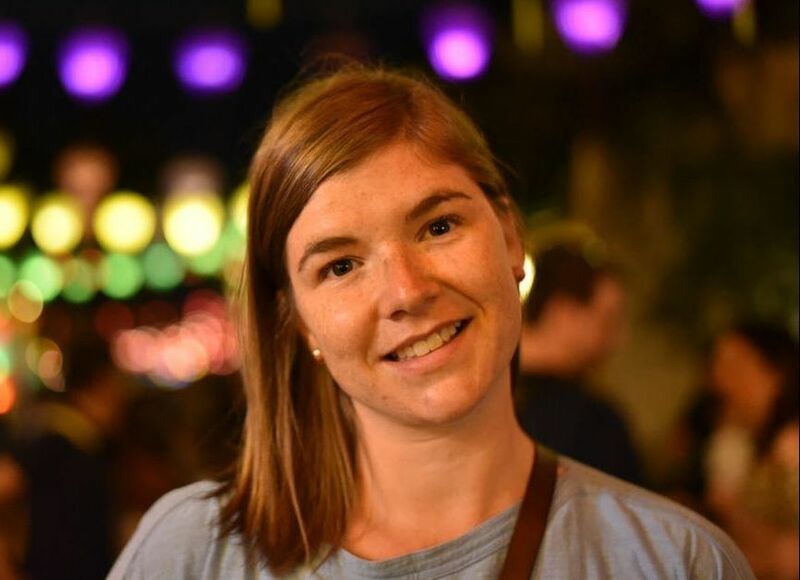 Drawing on her previous work experience in banking, management, communications, and international development, Katie now serves as the Executive Director of “Her International”. Her International is a nonprofit which provides educational opportunities for marginalized women and girls. Along this journey, Katie met and married her husband Daniel, who shares her passion for travel, cultures, and languages. They have three curious, mischievous, and marvelous children: two daughters and a son. Born and raised in Hong Kong, Sandy studied in the UK for one year before moving to Logan, Utah in 1990. She met her husband, Jared, during graduate school and they were married in the Logan Temple in 1996. Jared and Sandy have two children. Sandy started her journey of living in many cities across the United States and in Asia shortly after Jared finished his degree at Utah State University. Since leaving Utah in 1998, she has lived in South Carolina, New York, China, Idaho, Delaware, Singapore, Malaysia, Singapore again, and now she calls Vietnam home. Sandy enjoys meeting new people, exploring new cultures, reading Chinese novels, watching Netflix when there is time, and volunteering in various capacities. This is her 5th year as a member of the conference committee. Discouraged after a lifetime struggle to overcome issues from my childhood, 3 Nephi 18:32 renewed my hope: “Come unto me with full purpose of heart and I shall heal you.” Having run out of options, I told God it was his turn to please heal me. Come hear how it worked. Jeannie Griffiths lived mostly in Asia during her husband’s 33 year career as a Diplomat with the U.S. State Department. She was an ESL teacher, taught seminary and institute for 13 years and was a docent at museums in three countries. After being told they could not have children, Jeannie surprised the doctors and gave birth to three children in three different countries, on three different continents. Retiring to “a small college town out west” (okay, that’s Provo, and Jeannie went kicking and screaming all the way), she happily taught Cultural Geography at UVU’s Elder Quest. Keeping the airlines in business, Jeannie visits seven adorable grandchildren who live as far south, east and north as possible in the US. 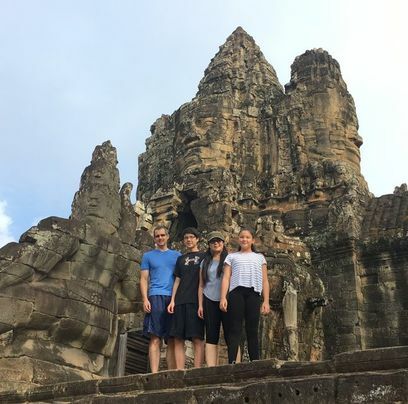 Jeannie and her husband are currently spending a few months in Bangkok, Thailand. Chelsie Watts has lived in Asia for 5 years and has called Singapore; Shanghai, China; Chicago, IL; and Salt Lake City, UT home. She married her blind date, Jake Watts, 11 years ago and together they have two children, ages 6 and 3. Before raising her children abroad, she was a public relations manager for Children's Miracle Network Hospitals, a leading nonprofit that raises funds for 170 children's hospitals across America. She earned a bachelor degree in mass communication/public relations from the University of Utah. She loves to run, swim laps, road bike, is a certified Les Mills Body Pump instructor and a volunteer for Democrats Abroad--focusing on the women's caucus. She reads an average of a book per week and always has a stash of dark chocolate in her fridge, both cheaper than therapy. The Lord is mindful of us and our needs, and He wants us to have joy. Come learn how to have joy and share joy with those around us. Jana Ewing has been married to Randy Ewing for 32 years. 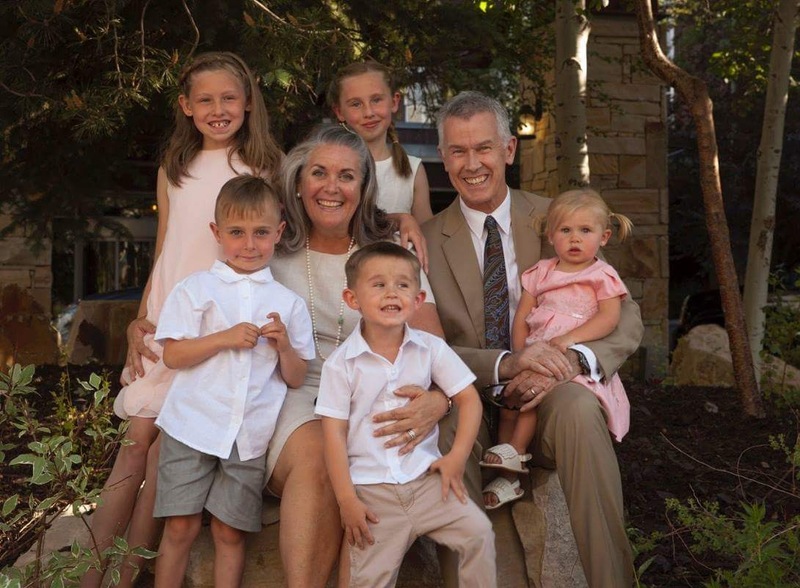 Together they have 1 son and 3 daughters, each of whom have served missions for the Church. 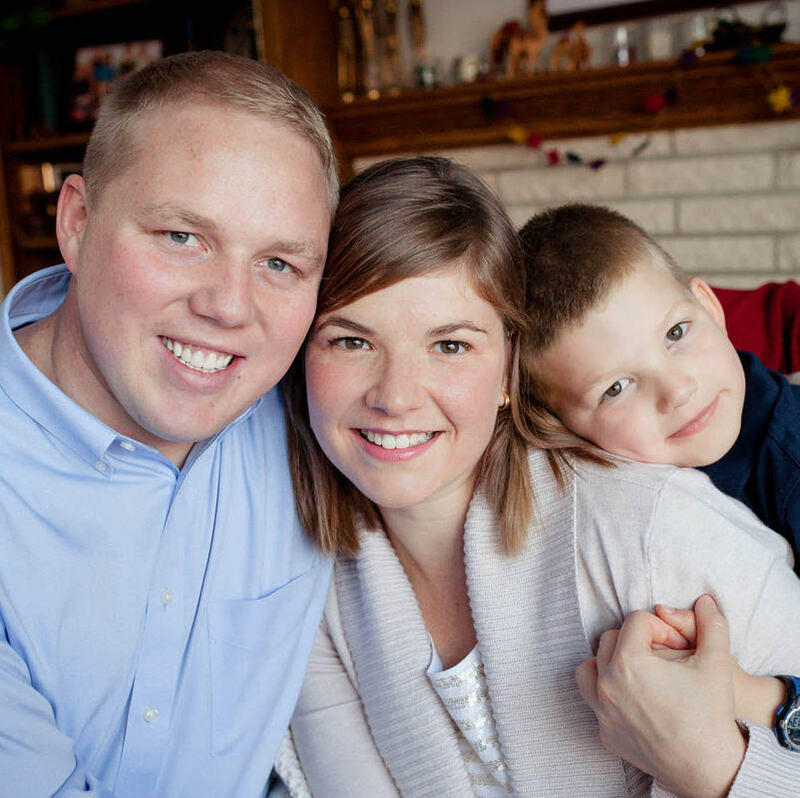 Their youngest daughter is currently serving in the Kennewick, Washington Mission. They have lived in Thousand Oaks California for 21 years and just moved to China in December of 2017. Jana was California's Young Mother of the year in 2003. 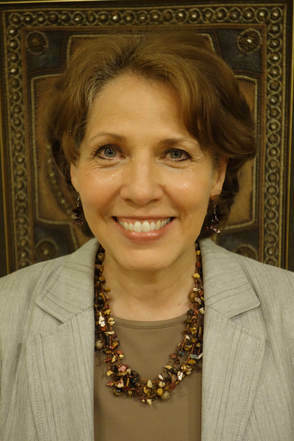 Jana has served in the church as Primary President, Stake Young Women’s Camp Director, Young Women's President, Stake Young Women's President and Relief Society President. We are recognizing the need to actively cultivate grit and resiliency in children. But concern about a lack of these character traits is not just a 21st-century issue. Nor is their development solely a temporal concern. Spiritual resiliency is essential to the Plan of Happiness. When it comes down to it, if I were brought up on charges of being a Latter-day Saint, would there be enough evidence to convict? Cherilyn is the 2nd eldest daughter in a family of 10 and has managed to be the mother of 3 and become the mother-in-law of 3 who spends her time, when not (still) fretting over her children, working as an RN, and running miles on treadmills. She has learned to adapt (and developed her sense of humor) through growing up with 7 siblings; getting educated at BYU, Catholic University, and George Mason University; and living in the US, New Zealand, India (twice), Mexico, the UAE, and Pakistan. She and her husband of 30 years are halfway through their 4th and final year in Islamabad, and in August will be moving to Gig Harbor, Washington, when it is sunny in the Pacific Northwest. Her favorite callings in church have been teaching the sunbeams and early morning seminary, which, of course, sometimes felt like the same thing. Currently she is responsible for selecting the music for the church home group (read: queuing up the iPod) and rotating giving a lesson or a talk. This year she learned to knit and has decided to think about committing to using the slow-cooker at least once a month. “He sent each one of us to earth through birth.” God appointed birth as the route for all His children to receive their mortal bodies. The science and physiology of human gestation and birth is beautiful and embedded with symbolic parallels of the Plan of Salvation and the gospel and Atonement of Jesus Christ. You are a miracle! Come learn how God’s crowning creation (you!) bears powerful witness of His, and your, divinity. Chrizelle loves learning and mastering new skills in many areas of life. She is a great cook, and loves hiking, being outdoors, and being on Safari with her family. Her dream vacation is to do a walking holiday in the Swiss Alps. Chrizelle has a strong intuition and naturally senses the needs of others – which gives her a strong mothering instinct and makes her a loyal friend. Her strong capacity for empathy enables her to serve and love others deeply – especially those who are often overlooked or marginalized. She loves that the gospel of Jesus Christ is universal – it brings hope and life to everyone everywhere, and has the power to lift even the most weary and downtrodden. 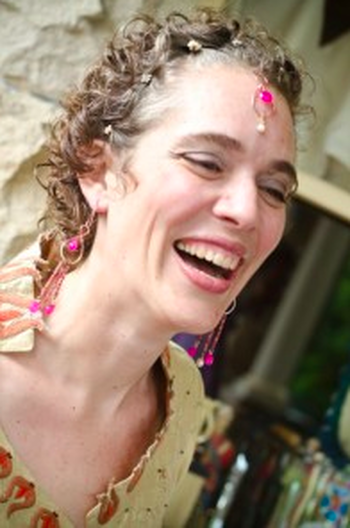 Chrizelle is a trained doula and childbirth educator and is currently studying to be a midwife. 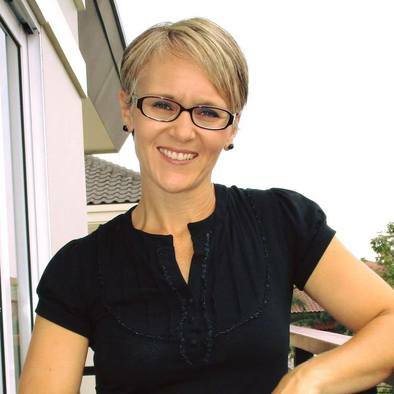 She is passionate about pregnancy, childbirth, and all areas of women’s health. She is fearless in support of what’s right and true. Chrizelle was born in South Africa and has lived in the UK, USA, China, and currently lives in Chiang Mai, Thailand. She is married to Peter Ransom and has a sweet and energetic 7-year-old son named Joel. We rejoice in Christ, we talk of Christ, we testify of Christ. How do we truly learn who He is, and through this self-obtained knowledge, become witnesses of Christ? We begin by learning of Him: searching the scriptures, and seeking words of prophets and apostles we learn of His NAMES. It is through the learning of His names and titles that we learn who He is and who we are asked to emulate. We learn about our NAMES and who He needs us to be. Over the past sixteen years of research and documentation, a list of over 470 names and titles of Christ have been accumulated. Sweet, tender lessons have deepened a love for the Lord and through these lessons SO MUCH has been learned about who He is and who He needs me to be. Educated at the University of Utah in German Literature, Brigham Young University in Design, and in the Germany Munich Mission in everything that is important, created opportunities that lead to a 22-year career in the Architecture and Design Industry as a Sales and Marketing Executive. Through this career, a love for art, instilled by her mother, deepened. This love of art and architecture continues to expand Kym’s understanding of cultures around the world. Learning to know the Lord’s will for her life, Kym patiently waited upon Him for her eternal companion. On July 2, 2005, at the age of 41, the greatest adventure of her life began with her eternal companion Mark Froelich. In the last 12.5 years, Kym and Mark have lived in San Francisco, California; Tokyo, Japan; Taichung, Taiwan, and for the second time in Beijing, China. Park City, Utah is their U.S. residence. Marriage brought 3 adult children. Now one of her greatest joys is loving five precious grandchildren. With the Holy Ghost with us, we can become more than we can by ourselves! The Holy Ghost will show us where to go in life, what to do in our families, and what to say to a friend in need. It quickens our mind, comforts, inspires creativity, enlarges talents, and above all, testifies of and glorifies Christ. In this class, we will discuss how the Holy Ghost can influence our life right now and especially how we can better live (spiritually, emotionally, and physically) to invite its powerful companionship. Cristal has an identical twin sister, named April (yes, they switched places every April's Fools Day!). She served a mission to Rostov, Russia (where she taught gypsies and several members of the mafia the gospel. Quite the memory!). 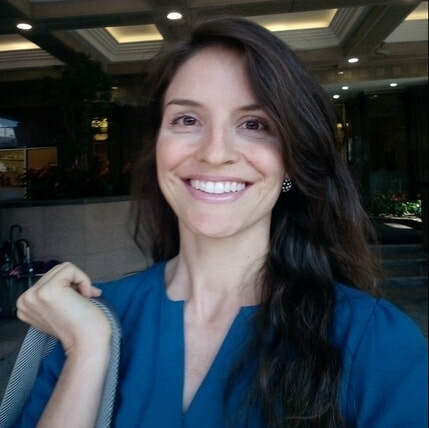 After the mission, Cristal obtained a Bachelor’s Degree in Political Science at BYU and eventually a JD at BYU Law School (where she met her best friend and husband, James). Not long afterwards, they moved to California, then to Taiwan, and on to China--where they currently reside. Along the way they have accumulated four darling and mischievous children (her most challenging and fulfilling work yet!). She enjoys being a stay-at-home mom, walking around in her pajamas, learning the ropes of homeschooling, creating family/parenting posts and videos for Chinese families, having an "ayi" to do her cooking (cooking is not her forte...), and eating avocados like apples. But perhaps most of all, Cristal loves the Gospel of Jesus Christ. It means so much to her. In times of darkness and light, it has brought an energy and light to her soul. Learn how the award-winning series Girls Who Choose God and Our Heavenly Family, Our Earthly Families came to be — and how stories of bold women in the scriptures are still relevant in our modern lives today. McArthur Krishna comes from Utah pioneer stock, as her maternal grandmother used to tell her. 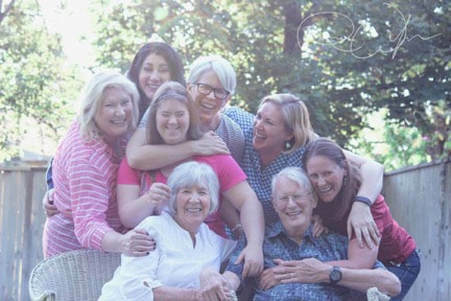 While her grandmother encouraged her to highlight this information in her dating life, this fact frankly didn’t mean much to her until she started to read the stories of her ancestors. Mary Anne Yearsley who crossed the plains as a widow with five kids and another grandmother who built her own sod homestead near Weber, Utah. Wow. McArthur learned the power of storytelling—even genealogy can come alive! In 2011, she retired from that business, moved to the Magic Land of India, became a Mom, and started writing books. She continues to forge new paths in her life in India — maybe she is a pioneer stock woman after all. You can see more of her stories at McArthurKrishna.com. The best things about your child growing up abroad will also be his/her biggest stumbling blocks - and likely yours too. Join me for some dos and don'ts and learn what you can do (and should not do) to make your time abroad (and future repatriation) a positive and powerful experience for your child. When called abroad, how come Laman and Lemuel complained, Nephi and Sam persevered, and Jacob and Joseph flourished? Hint: it has to do with their ages during their move…. Though living abroad can be tough, it is an incredible experience that almost all "third culture kids" wouldn't trade for anything. I invite you to put yourself in your child's shoes and see why your child's experience of living overseas is completely different from yours - and what you should do about it. Together we will celebrate raising children abroad and we will talk frankly about topics that include identity crisis, cultural chameleons, repatriation, unresolved grief and grieving well, global citizenship, and why some researchers have identified your child as a potential global leader who is sorely needed in the world today. Peter is an American (by passport), born in Kenya, who has lived outside of the States for more than 25 years, in places including Kenya, Nepal, Louisiana, China, and Thailand. He currently lives in Chiang Mai, Thailand with his wife, Chrizelle, and 7-year-old son, Joel. He is most comfortable in places that would seem foreign to most people. He is always up for an adventure of any sort. He is an engineer by training and recently completed an MBA in South Africa. Peter is currently a partner of Stak Services, a company based in China that specializes in custom product development and manufacturing. Peter loves to travel with his family, take pictures, and is a foodie at heart. He has a passion for sharing new experiences and different perspectives with others, loves to tinker, and can always be counted on to fix things when they break. He enjoys cooking, road biking, and photography. Peter loves how the gospel of Jesus Christ is always applicable regardless of where we are in our lives. He also appreciates how many of the blessings of the gospel come to us through service to others – ensuring that we can only really succeed when we work together. Peter is passionate about pushing personal boundaries and venturing beyond the comfort zone. He is regularly involved in personal development coaching and is thrilled when he can help someone see things differently and consider possibilities that they weren’t aware of before.